Water quality and macroinvertebrate assessment of Harrop/Mill and Narrows Creeks for Harrop-Procter Community Forest, Harrop-Procter. We assessed water quality, hydrometrics and macroinvertebrates from 1999-2014 related to forest development in Mill and Narrows creek watersheds. Continental Mine Environmental Impact Assessment of downstream effects on macroinvertebrate assemblages, water and sediment quality of Boundary Creek and Kootenay River for MoE, Nelson, B.C. The effects of a historical mine on surface water quality, sediment quality and the macroinvertebrate community were evaluated upstream and downstream of Continental Mine. Survival rates and demography of grizzly bears relative to density of roads was researched in west-central Alberta were examined using telemetry and remote sensing data. Survival rates of bears and other demographic parameters was used to estimate variation in population rates of change in bear management areas relative to road density. Assessment of Bathurst Caribou movements and distribution in the Slave Geological Province. Integrated Ecological Research contributed to the preparation of a report that included the impacts of the EKATI Mine site and proposed road corridors on caribou. 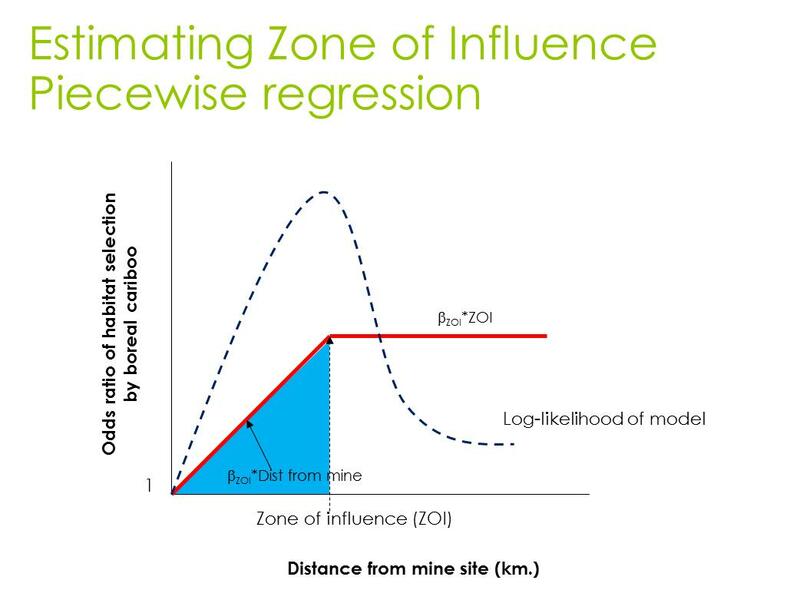 Temporal use patterns by caribou were also identified in order to avoid impacts and mitigate timing of road and mine construction.